How Can I Use a Tax Loan for Back to School Expenses? Heading back to school is often a big relief for parents. Summer is fun, but it can also be stressful. You have to find things for the kids to do, make sure they stay out of trouble, and still be able to go to work while they’re at home. When school comes back, all those worries are gone, to be replaced by a new one: the costs. You can use a tax loan today to get the cash you need to cover those expenses so that your kids have what they need to get back to school and succeed. Although tax season doesn’t coincide with going back to school in the fall, you can still take advantage of this loan for school costs. Our lender offer a tax loan year-round for a variety of reasons, like tax filing extensions or delayed refunds. You can apply today for a tax loan, whether or not you have a refund or filing that has been delayed. 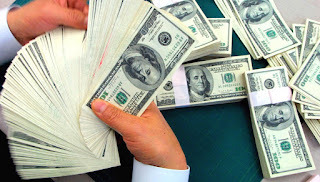 With just a few minimal requirements to meet, you will most likely get approved and can expect to get the cash in hand by the next business morning, as soon as tomorrow. 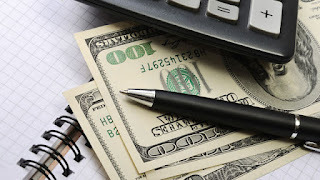 So how can you use the cash you get from a tax loan? Use it any way you need to, but one of the biggest expenses that parents face this time of year is clothing. Kids always want the newest and coolest stuff, but it’s a practical need as well; your kids have probably outgrown last year’s clothing, not to mention shoes. You can get the cash you need to make sure they have clothes that fit and that will get them excited about getting back to school and their friends. In addition to new clothes, most kids will need money to cover various fees required at school. Some classrooms may have fees for special equipment, like in science or technology classes. 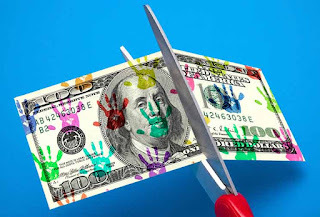 There may be fees for after school programs that are not free or subsidized. And, then of course if your children want to participate in sports, there will be fees as well as the costs of equipment, gear, and uniforms. Sports and other clubs may also require that you pay transportation costs up front. If you have an older child heading off to college or taking community college classes, you can help out with expenses by getting a tax loan. Even if your son or daughter has gotten enough money or scholarships together to cover tuition, there are many other expenses to consider. Class fees are more common and bigger in college, and the book prices can also be pretty high, several hundred for a semester. A tax loan is a useful loan that you can use right now, today, to help cover the big costs of going back to school. Just because you struggle to keep savings for these things does not mean your kids shouldn’t have what they need to be successful. Rely on these loans and give them the best chance to do well. Is There a Convenient Way to Get Refund Anticipation Loans? It certainly seems like there is nothing convenient about taxes, ever, even when you file online. Taxes are always a hassle, but getting cash through refund anticipation loans doesn’t have to be. You also don’t have to limit yourself to getting a loan from your tax preparer or even to tax season. We have lender standing by right now, ready to approve applications, and you can access them easily and conveniently. Refund anticipation loans are available online right now. If you need extra cash, whether or not you’re waiting on a delayed refund from your taxes, you can apply online in just a few minutes. The application is short, just one page, and it requires very little time or effort to get it filled out and to submit it for consideration by a lender. As long as you have access to a computer, you can get one of these loans and it doesn’t have to be a big inconvenience. There is actually another way to get refund anticipation loans that is even more convenient than going online and using the website to apply. You can now access these loans by downloading an app to your phone or tablet. It takes just a few minutes to download, and you only have to do that part once. 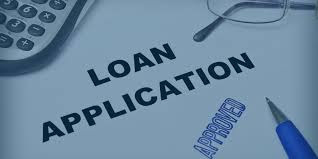 Then, fill out the same short, simple application that you’ll find on the website, and within minutes you will have applied for one of these loans and your information will be sent to a great lender to get you approved. There are two convenient options for applying for these refund anticipation loans, but there are other factors that make these loans easy too. One is the fact that you can use the website or the app at any time to apply for a loan. There are lenders on the other end, ready to quickly review applications 24 hours a day and seven days a week. This is true any time of year, not just tax season. If you work strange hours or if you are just stressing about money in the middle of the night, relax and apply to take care of the situation. Another thing that makes these loans convenient is that they are fast. You won’t wait long to get approved or to get the actual money in your hands. Lenders take a look at applications and use a proprietary calculation to make quick decisions. Most applications are approved, even for people with bad credit scores. The approval process takes 90 seconds or less. You can also expect to get your money quickly once approved. You will e-sign an official document, and then your lender will make a quick transfer of cash to your bank account. 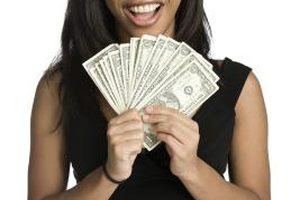 Most people get the money the next morning, so be ready for quick, convenient cash. If you’re one of the many Americans who will be impatiently awaiting their tax refund, tax refund loans are a great way to give back to yourself and experience life by getting your refund faster instead of sitting around waiting for the government to issue your income tax refund and send the money. If you have your heart set on an important purchase, need to make very necessary repairs, or have an overdue debt to handle, don’t miss out on the service tax refund loans provide. Many stores have seasonal discounts that they offer around refund time– tax refund loans can help you save your money by letting you spend your refund today instead of waiting weeks and weeks for your hard-earned cash to be refunded from the IRS! Let’s face it, you worked hard, and you deserve the ability to spend your tax refund on anything you want or to have a few weeks without worrying about finances. That’s what many of us end up doing with our refunds, but only after waiting far too long for the money. Don’t let the government waste any more of your precious time or choose how and when you’re permitted to spend YOUR refund – a tax refund loan gives you funds faster than you ever knew possible and helps make the rest of the year more enjoyable. Isn’t it outrageous how we’re all required to get our income taxes filed by a very strict deadline, but when it comes to dispensing you the refund you’re owed, the IRS can take weeks or sometimes even months? Then most the time you get a notice explaining that the government is undergoing delays and your refund or direct deposit will take even longer. If you’re tired of waiting for the IRS to give you the cash that you worked so hard to get, use a tax refund loan this year to get your refund sooner. It takes less time to fill out your information for a tax refund loan than it does to file your taxes – so if you have time to file your taxes this tax season, you definitely have time to submit your information for a tax refund loan. 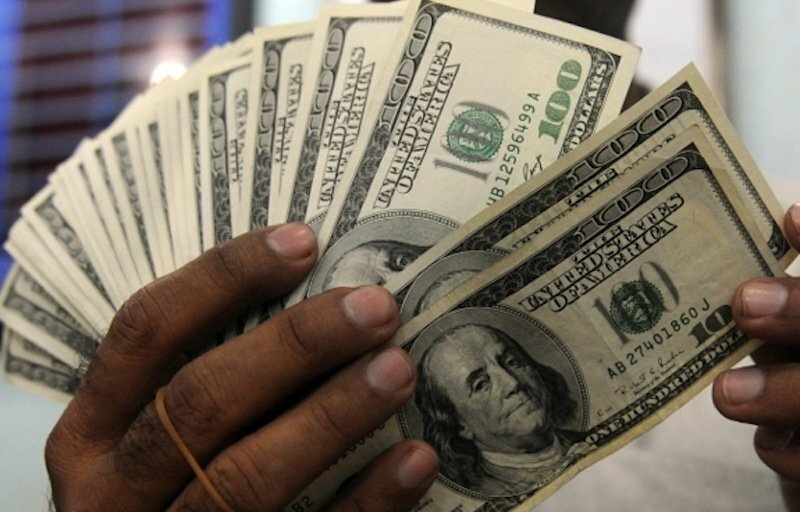 Could You Use Tax Refund Loans? During tax time, we all get tired of filling out paperwork after paperwork and keeping track of important information filing our taxes – that’s why we’ve reorganized the tax refund loan process to make it as simple as possible for our borrowers to get their refund faster this tax year. Just fill out your information in a few short minutes using any device including your phone or laptop! We don’t require any scanning, faxing, or waiting for days, weeks, or months. You can rest assured that our process is secure, quick, and easy. One of our dependable lenders will be waiting any time day or night to deposit YOUR cash into your bank account and help you meet your economic needs so you can take care of your accountabilities sooner. Many Americans like you are getting their refund faster this year with refund anticipation loans! Being ready for life’s emergencies can be challenging, especially with the social media pressure to have fun and spend money like it seems like everyone is doing online. Many borrowers see the beginning of a new season as a chance to try again with their financial strategies, health, or improving their status. Sometimes, openings arrive and many of us have the opportunity we’d like to take to increase our enjoyment and make life easier. Don’t let your disordered finances keep you from rising – use income refund anticipation loans to keep up with your duties, friends, and prospects. Get your income tax refund faster with a refund anticipation loan and use the funds to help reach your potential this year! Summer is a challenging season for everyone and for many reasons beyond the heat. With refund anticipation loans next year, you can get your cash from your refund faster and you can start preparing earlier without the waiting. If you wanted to get healthy, but the excessive cost of a gym membership and organic food is leaving you feeling discouraged, consider using refund anticipation loans next year to buy a gym membership and get started soon! The best thing about refund anticipation loans is that it’s your money that you have already made and have plans to spend. Life is expensive, and your bills won’t stop until you decide how to take control of them. Refund anticipation loans merely make it simpler to manage your finances – while making life a little less trying. See just how easy it can be to get your refund quicker with refund anticipation loans. If you’re using your refund to get healthy, make an important purchase, or take care of your finances we can help get you your funds faster for what you need and want. Don’t let the government stop your already earned money and postpone you from spending your money when you could use refund anticipation loans to enjoy life now. 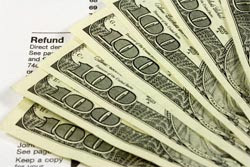 Need A Refund Anticipation Loan For Your Income Tax Refund? Don’t let your credit stop you from enjoying life on the widest level. Refund anticipation loans from our trusted lenders are never have credit requirements for approval, and even people with no credit can fill out their information! The only requirements are to be a citizen over 18 with a job and a bank account to deposit money. Our service will link you with the best lender for your needs. With refund anticipation loans, you don’t have to stress about taking off work to wait in line at the bank because we do all of the work for you! The best part about refund anticipation loans is that it’s your money that you would be spending anyways, and we get it to you faster. 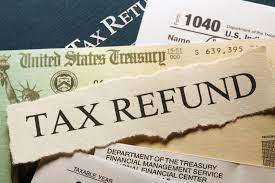 There’s no better way or more convenient opportunity to get ahold of your finances and fix your budget problems than using your refund from the IRS– try our easy refund anticipation loans online from one of over 50 lenders. Get connected, get the money you need, get back on track, and enjoy life today. Can I Get Tax Loans if I Have an Extension on Filing This Year? Tax loans, which are also referred to as refund anticipation loans, are often thought of as being available only during main tax season. 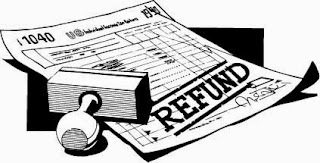 A lot of people use them this way, as an opportunity to get an expected refund sooner, and then to repay the loan with the refund cash when it actually arrives. This is a great option, but it is not the only one. You can access tax loans at any time of year, and they are especially useful if you have an extension, which will cause your refund to be massively delayed. The first thing you need to know about tax loans is that they are not just for January through April 15. The lenders that offer these loans are available every day of the year, providing easy and quick loans that nearly anyone can get approved for with minimal requirements. If it’s August and you need some extra cash, or even October, you can contact our tax lenders and get the money you need. Sometimes there are valid reasons why you can’t get your taxes filed by the typical deadline in April. You may have some serious personal, family, or health issues taking up all your time, or you may have a financial situation that doesn’t allow you to get your taxes in on time. The IRS is surprisingly flexible, and you can request an extension that they most often do grant. The downside to getting this extension is that if you are owed a refund, which you probably desperately need, it won’t arrive for months. Extensions cause big delays in refunds, but tax loans solve that problem. Get a loan and you can have the cash in about a day, instead of in weeks of months. How Do I Repay Tax Loans if My Refund Is Delayed? While many people who use tax loans repay them when their refund checks come in the mail, this isn’t your only option. You can get a tax loan and repay it with your next paycheck. This is a good way to get needed cash so you can pay the bills and take care of other expenses, but to still get out of debt quickly and not have it hanging over you for weeks and months. In fact, most lenders will deduct what you owe right from your bank account on your text payday. 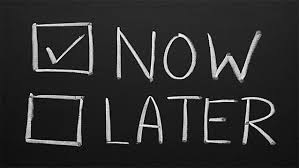 This means you don’t have to worry about missing the due date, being late, and paying more in interest and late fees. There are two easy ways to get tax loans today. You can either use the website and fill out the short application there or you can download the mobile app and fill out the same application. Both options offer a convenient way to access the cash you need. 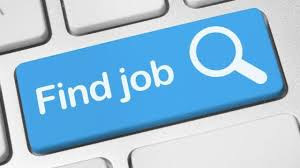 Apply in minutes, get an answer in less than two minutes, and get that cash in about 24 hours. An Online Tax Loan Can Help! Your tax refund could be the ideal way to pay for a financial emergency like a home repair, but we know it doesn’t do you any good to wait on your check from the IRS. Repair men, mechanics, and utility companies don’t allow payment plans and you shouldn’t need one. Use an online tax loan now to get your refund money in as little as a day. You don’t have to worry and wait for your refund to improve your financial situation – an online tax loan can turn today’s difficulties into tomorrow’s victories. No one wants to wait days, weeks, or even months to fix a vehicle, make a repair, or to pay an overdue bill, and an online tax loan allows you to take care of your obligations without waiting on the government to send you your hard-earned money. The online tax loan was developed to assist you in appreciating life without waiting for the money you need! The best part about an online tax loan is that it’s funds you intended to spend anyways – you just don’t have to wait on the IRS to get your cash this tax season. Are you done watching others have experiences you are missing like vacations, dinners, and traveling to far off places while you are stuck with an empty bank account? Would you enjoy a trip to unwind in the mountains during the winter months or traveling somewhere to escape the cold? With an online tax loan, you can have enough money to get away before the government finally decides to send your tax refund! Don’t delay while waiting on the IRS to mail you your refund– submit your information for an online tax loan and travel where you want when you want. Don’t wait around any longer when you could use an online tax loan to appreciate life again! Don’t wait another minute for your tax refund to finally arrive. This tax season treat yourself to a vacation even earlier or even a nice meal at a fancy restaurant – using an online tax loan. Take command of your obligations, your finances, and your life. An Online Tax Loan Is SO Simple – See If You Qualify! While some Americans prefer to borrow from their traditional bank, severe rules and regulations are becoming very common in today’s economic climate. Customary banks are shifting to larger business and away from individual customers. 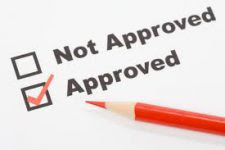 It’s can be challenging to get approved if you have less than stellar credit, and many banks require impeccable credit to even fill out an application. Applying for an individual loan through your bank can often harm your credit if they run a credit report. You should stop the worry and apply for an online tax loan today! Our lenders only require you to be a US Citizen who’s 18 or older and have a job and a bank account to be approved for an online tax loan. You could have money in your account in as little as a few hours and you don’t even have to leave your house with an easy online tax loan. Our trusted lenders are here to help you get your tax refund money faster this year. We have all hit an unexpected financial emergency between pay periods and that can be challenging. 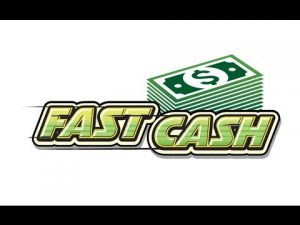 At National Cash Credit, we are dedicated to aiding borrowers in making ends meet between paychecks with fast and simple, cash loans online. Our cash loans are a simple solution to your express financial requirement. Our experienced lenders offer no collateral and no credit requirement cash loans. Let us help you make ends meet in between paychecks with worry-free online cash loans. We do all of the hard work so you don't have to and we customize our cash loans process to meet the needs of borrowers. 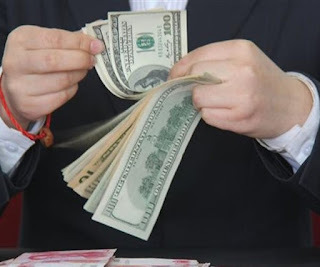 We help connect you to the best cash loans online. Submit your information to a lender using a very short and simple cash loans application and let us show what we can provide you and how we can meet your needs. We’ll partner you with an experienced lender that has what you need for your financial position and is ready to help any time of the day or night. Cash loans are accessible through our many valuable lenders for borrowers that have perfect credit, poor credit, or even no credit at all. It is irrelevant to our cash loans lenders if you have a bad credit score. 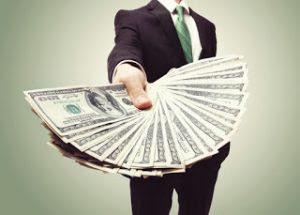 If you require more time and choices to repay your loans than you can get through traditional lenders or other lending institutions cash loans online may be the option for your situation. 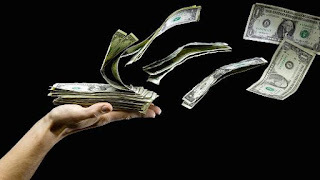 Cash loans don’t require you to repay them in one large payment but rather in smaller payments. This is made simple using an easy-to-follow payment schedule provided by the lender you choose. If you are troubled about your credit score, know our lenders don't have credit requirements as part of the loan approval process and they report on time payments back to the major credit bureaus to improve your credit score. Simply pick the lender that is meets your needs and you'll be guided to the cash loans lenders website where you can quickly complete the lending process. In no time, you could have the funds you need deposited directly into your checking or savings account to take care of your financial responsibilities. With all of the holidays out of the way and a new year the winter season seems to get more expensive every year. For the typical consumer on a budget, holidays can be a worrisome time and can take months from which to recover. It’s challenging to stay on top of your finances and buy food and gifts or travel. Millions of customers have changed to methods other than customary lenders for monetary assistance. For many, cash loans are an appealing financial resolution due to the flexibility and payment options of the loan. 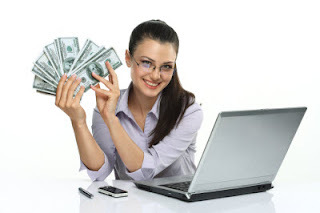 Like many loan options, you can get cash loans quickly and simply online. If you have access to a computer or smart phone you can submit your information for cash loans online using any device. 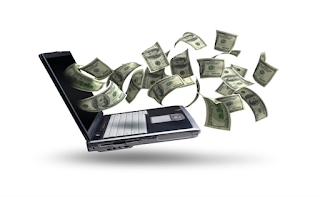 The effortlessness of online cash loans, shared with the speed of approval and delivery makes online cash loans highly attractive and very proficient in reducing borrowers financial stress. There is not much that is more exasperating than filing your taxes, being conscious of your refund, and then having to wait weeks or even months for your own hard-earned money. Most Americans have never heard of or don’t know how to get approved for income tax loans. If you believe you will be receiving a refund from the government this tax season you can get income tax loans based on your return. Just submit your information, get a quick quote, get connected to a lender, and your money could be deposited into your account without the waiting and waiting. If you know you’re getting a refund and need your cash faster, get income tax loans now and avoid the worry. When you obtain your refund far in the future we take a small fee on top of the amount borrowed and you get the reminder without the aggravation and without having to wait. Waiting is overprized and most of us would happily use a tiny portion of our refund to make sure that we get our refund money much faster. Then number of borrowers using this service is increasing each year. 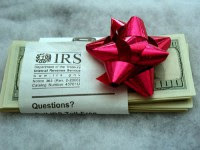 This tax season consider income tax loans instead of waiting for the IRS to send out your refund. If only income tax loans were available years earlier. As customers demand more from their lending institutions, the loan industry is changing to meet their requirements. 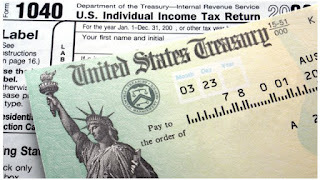 One fundamental area of need is obtaining your tax refund faster. Income tax loans do precisely that, they offer the option of receiving your refund faster and the slight cost of the service is taken from your expected refund once you finally get it from the government. It appears like the wait is longer every year we finish our taxes. From that need, comes the creation of income tax loans. 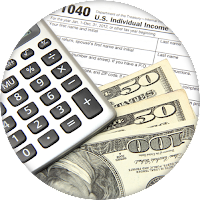 Many individuals pay a service to file their taxes and now for almost the same price you pay each tax season to file, you could get your refund quicker with income tax loans. As borrowers look for opportunities with the loans they choose, the industry pursues ways to provide new services like income tax loans. Submit your information today and get a safe, quick, and simple income tax loan from one of our team of trusted lenders. 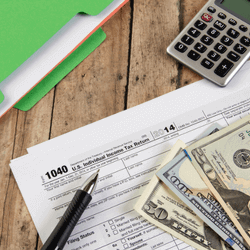 While most of us wait for our tax refund from the IRS there is plenty of time for a financial emergency to appear, bills start to pile up, and having fun keeps passing you by. 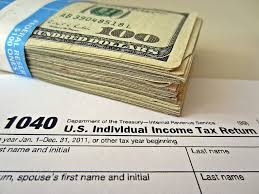 If you have a notion of how you want to use your tax refund and don’t have time to waste get an income tax loan this tax season and use your cash when you want. 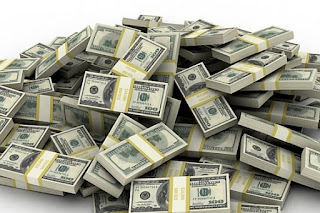 The loan amount is determined from your anticipated return and you get your funds effortlessly and rapidly. Don’t postpone a plan or stress about where the funds to pay a bill is going to come from while you wait for your hard-earned money form the IRS. Submit your information for income tax loans today and get your cash in your checking or savings account from an experienced lender as soon as today. We’ve all been in tight financial spot, waiting for days or even weeks as our tax refund from the IRS doesn’t ever seem to appear. When the unexpected happens, right before you get your refund from the government, get your refund faster with a tax anticipation loan. This year hasten your refund and get your money faster with an online tax anticipation loan. You can get your funds now and have it accessible for your needs or even wants with no waiting this year. Don’t let traditional loan companies and the government postpone your money. A tax anticipation loan from one of our trusted lenders is quick and easy and helps you skip the waiting this tax season and start enjoying the season. Tax anticipation loans are not like other loan services in many ways. 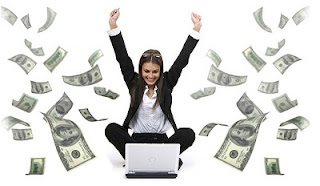 They are fast and easy and the entire lending process can be finished online. An online tax anticipation loan can even be completed using any device including your smartphone. You can even get a tax anticipation loan on your lunch break at work. Get your money now to do something for yourself, for a loved one, or to take care of a financial crisis. With a tax anticipation loan, your borrowing practices can complement your needs. With our team of lenders there is no credit requirement. Fill out your information today and this year get your cash faster. Get your money when you need it with a tax anticipation loan. Getting approval from a lending institution is not simple but a tax anticipation loan is not your standard loan. A tax anticipation loan can be finished in a matter of minutes without even leaving your couch. With our online tax anticipation loans, there is no credit requirement and our lenders never as for collateral. All you need to be is a citizen over 18 with a bank account and a job and you can get your tax refund from the government quicker. You can spend your loan on anything what you want. Our experienced lenders provide a tax anticipation loan that is fast, simple, and convenient. This tax season stop waiting for your refund and get a tax anticipation loan. Tax preparers do the work of getting you the most money for your refund but they don’t offer easy tax anticipation loans and our lenders do. A tax anticipation loan lets you have the money you need faster and without the worry. Your work was demanding all year and you deserve your hard-earned money faster. Try an up and coming product in the lending industry from eTaxLoan.com and save yourself some time and money with a tax anticipation loan through one of our team of over 50 trusted lenders. Submit your information today and let us connect you to an experienced lender that can help you no matter your current financial situation.